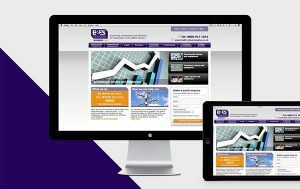 Responsive websites – why ALL businesses need one! With well over 10 years' experience in digital marketing I've seen how customers' attitudes and understanding of the Internet have changed. These days, almost every business has a website. Companies understand the need to have an online shop window to the world. But in the early days, it was a hard sell to many, who didn't see how their business would benefit. With well over 10 years’ experience in digital marketing I’ve seen how customers’ attitudes and understanding of the Internet have changed. These days, almost every business has a website. Companies understand the need to have an online shop window to the world. But in the early days, it was a hard sell to many, who didn’t see how their business would benefit. Equally, most businesses now understand, to varying degrees, the need to optimise their website in order to rise up the search engines, so customers find them online. This again was a tough sell in the early days, as we tried to change attitudes from “we’ve got a website so that’s fine”, to “we need to be working on this site constantly”. For the last year or two we’ve been encouraging customers to think about how their potential customers are browsing the web. Gone are the days when everyone used the Internet on their desktop PC or MAC. We’ve seen a huge increase across the sites that we’ve produced in traffic from mobile devices. One client of ours, a manufacturer of plastic extrusions, has seen an average increase in mobile traffic of 69% over the last six months. So, what should businesses do about this? The answer is simple, make their website responsive! I recently hosted a roundtable discussion at Forum Event’s Marketing Business Forum and of the 14 delegates sat in the room, almost every single person said that they either had a responsive website, were in the process of getting one developed, or a couple had “partly responsive” websites! So responsive websites aren’t a new phenomenon, but from experience, some customers struggle to understand exactly what a responsive website is. Responsive websites are built on a framework that allows them to adapt to the device that they are viewed on, so they display perfectly and intuitively regardless of whether they are being viewed on a desktop, smartphone or tablet. The rise of smart devices such as iPhones and iPads has driven this demand. But why are these devices so popular? Are always on and always with you. Smart device users are multi-tasking their media, with 80% using their phone whilst doing other things like watching TV, listening to music, watching movies or even reading books! 60% visit social networks at least once a day. Compared to previous experience with educating customers on the web, a responsive conversion of a website has been an “easy sell”, in so much as the analytics do not lie. But equally, most customers now have a smart device and are fully aware of how they use it and are demanding that their sites are responsive too. If you haven’t already got a responsive website for your business, take a quick look at your statistics and then get something done about it.